all of our self employed gals nurture a genuine love of the art we do. to have you as our guest ! We have Gift Certificates to make life a little easier ! 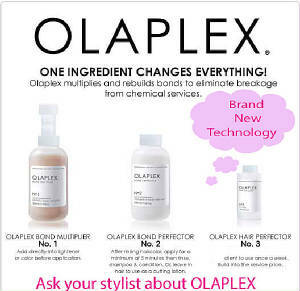 Olaplex: Push the envelope with color ! So you can look your best ! "One of my most enjoyable days. Very friendly!" "I am so happy I treated myself to this day of beauty!!" 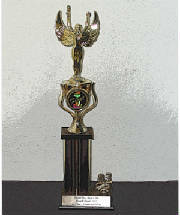 "I enjoy going to Headhunters as they are very friendly and still professional. They are very adept and willing to try your idea out. 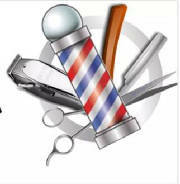 I appreciate their willingness to accomodate and help with problem hair. They keep everything clean and sparkling." "You guys are the BEST ! Thanks so much." 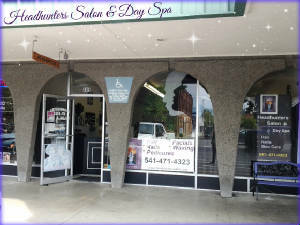 "I went to Headhunters Salon and Spa with a few of my bridesmaids the day of my wedding. They had all of their stylists working on just us and did a GREAT job. I LOVED my wedding hair and would recommend the salon to anyone needing good service and stellar skill. The price was also very reasonable. Connie the owner made sure to check on me and ensure I got exactly what I wanted. She even took a picture a texted it to me to share. Thanks Headhunters!" 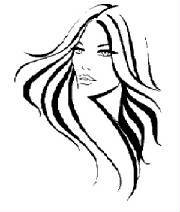 Had to laugh....here's what a client emailed me about her hair. "The compliments are rolling in on my hair!!! Several folks have asked for my hairdressers name. Thank you my dear, with your talent for hair I don't care if you stand on your head, as long as I'am on your list!!!!" "My husband doesn't normally say anything about my hair, but when Connie gave me a makeover, my husband complimented me 3 times. Lucky me !